A Midsummer Night’s Dream was a turn of events. We were each assigned a role to play in this famous romantic comedy. My role in the play was one of the lovers, Lysander, who happens to be in love with Hermia, the daughter of Egeus. Egeus is an authority figure who would rather have Hermia wed Demetrius instead of Lysander. Demetrius is a wealthy man who has no problem marrying Hermia. Now this whole fiasco turns into a love triangle when Helena appears. A woman who is desperately in love with Demetrius, but Demetrius does not love her back. After entering the woods all the lovers are flipped and jumbled with magic from the fairies, when finally all is right. Lysander and Hermia are in love, Demetrius and Helena are in love, and Egeus lets go of his daughter, allowing her to wed whom she wants. Lysander was a very fun role to play, granted I did have to dress like a man, but it was all part of the learning experience. I connected best to this project when we compared and contrasted Romeo and Juliet. I discovered a lot about myself. For example I am a hopeless romantic, no doubt. I’ve always thought there's someone out there for everyone. 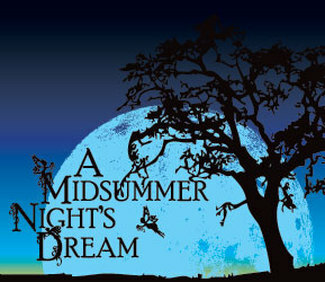 A Midsummer Night’s Dream showed me that perspective of love and so did Romeo and Juliet. The perspective of the lovers changed throughout the play, Romeo and Juliet had a different story but the same personalities of hopeless romantics. This project became challenging when we had to memorize lines, block, and write an essay, and since I was part of costume design I had to create costumes for each character. It was a lot to handle all at one time. Lilly, Lilah, and I went to the thrift shop and bought some costumes. Afterwards I worked with Jason and we memorized our lines together while blocking. When I was at home my dad and I worked on my essay and we went through it together making it more interesting and correcting my grammatical errors. I persevered through all my problems and created an amazing play with the help of my peers and teacher. During this project I learned that I can memorize my lines quickly if I put my mind to it. I was very nervous in the back of the stage but when it was showtime I wasn't nervous anymore and everything came natural to me on stage, the words just flowed out. I became a great collaborator during this project. I was able to help people with their costumes and I took their ideas and added it on. I also loved being a leader, for example I would grab everyone who still needed help with their lines and we would sit in the hallway constantly practicing. Even if that meant going over the same line ten or twenty times. William Shakespeare overall was an amazing and inspiring writer. He was one of the first to write about things people were maybe to afraid to write about. He was an inventor of words, he made us think about things you’d never think about and there is always a deeper meaning to his stories. I feel as if we gravitate towards Shakespeare’s work because it is so educational to think outside the box; something we rarely do on a day to day basis. The world is constantly changing, and sometimes its nice to go back to the old and make it new. We can work his words into our own, he created different worlds, something most people aren't comfortable thinking about. Having that in our school system lets us think about the impossible. As life goes on we can look back to the memory of our school play and we can laugh about it and also use what we have learned about comedy and love throughout our scary yet gratifying path in life.